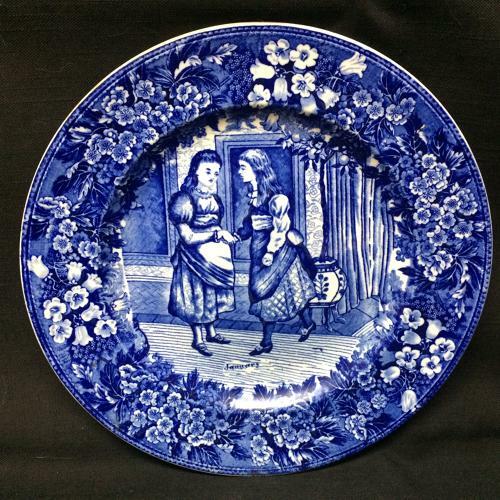 This large late Victorian 10 3/8 inch plate is transfer printed in blue against an off white background showing good detail and good contrast. The best dark blue I have seen. The plate is from the Early English 12 Months Series was designed by Helen J. A. Miles, an artist extraordinaire at the Wedgwood factories.